Looking for a well-crafted mystery in the tradition of Colin Dexter or P.D. James? What about one set in the Lake District, with well-read characters worthy of their Wordsworthian surroundings? Miss Lemon is here to tell you to search no longer. 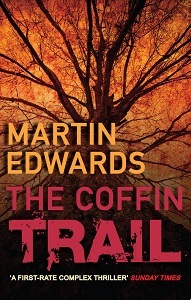 The Coffin Trail (2004), by Martin Edwards, has all of these attributes and more. From page one, Miss Lemon found herself utterly immersed in this modern-day whodunit featuring DCI Hannah Scarlett and an Oxford historian who's drawn to the Lake District village of Brackdale by shades from his past. Ostensibly writing an article for a popular history magazine on the old coffin trails used by the villagers before Brackdale got a proper churchyard, Daniel Kind unearths more than just mouldering newspapers from the archives. He begins asking questions that stir up old resentments and make him the prime mover in a cold-case investigation into the murder of a young woman whose body was left on the so-called sacrifice stone. The villagers dropped blame for the murder squarely at the door of Barrie Gilpin, a maladjusted lad suffering from autism whose own body was found on the rocks not far from the sacrifice stone. Blood from the victim was found on his person. Daniel -- and others in the village, too, including DCI Scarlett -- begin to wonder if perhaps it wasn't convenience's sake that buried the investigation with Barrie. In keeping with the best mystery writers, Edwards endows each of his characters with motive, opportunity and skeletons in the closet aplenty. What most interested Miss Lemon were the dramatizations of the relationships between Hannah and her partner, Marc Amos, a bookseller; Daniel Kind and his girlfriend, Miranda; and the well-heeled Dumelows. Edwards portrays the calm seas and squalls all couples endure with a deft hand. You'll find quite a bit of realism in this neatly turned out crime novel -- topped with suspense and surprise, too. Oh, they are, they are! 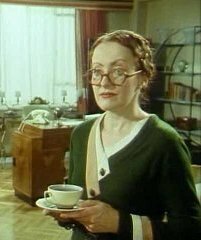 One need look no further than the premise of Agatha Christie's Ordeal by Innocence (1958), to see the truth of Professor Calgary's observation borne out. When the doting mother of a large family of adopted children is found bludgeoned to death with a fire poker, Jacko Argyle, the black sheep of the family, is accused and convicted of the crime. When he dies in prison, six months into his sentence, the Argyle family thinks that justice has been adequately served, and they can at last put the ghastly chapter in their lives behind them. But then evidence to exonerate Jacko emerges in the form of Arthur Calgary, a biologist and Arctic explorer, who recounts giving the accused a lift at the time of Rachael Argyle's murder. To Professor Calgary's great consternation, the family find his news most unwelcome. The reason for their discomfiture becomes obvious, as each Argyle must, in his or her turn, prove their own innocence of the murder; and, true to Agatha Christie form, each one of them has something to hide. 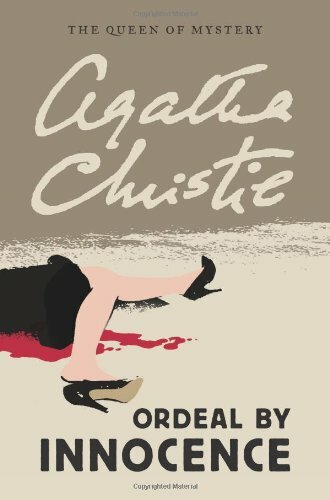 Ordeal by Innocence is another standalone novel that features neither M. Poirot, nor Miss Marple, or indeed any of the characters -- Capt. Hastings, Inspector Japp, Ariadne Oliver -- who so often aid in the effort to set the world back to rights after injustice has been done. Even so, Mrs. Christie takes care not to stray too far from the cerebral investigation and drawing-room revelation formula that is the stamp of so many of her other excellent novels.